WEARING: Zara Blazer and Slip on Sandals, American Apparel Pleated Pants, DIY Crop Top, Celine Trio Bag, Margiela Necklace (Worn as Bracelet) and Galisfly Mid Rings. You can't ever have too much black, I can now say the same is true for white; to think at some point in my life I only wore black seems senseless now. 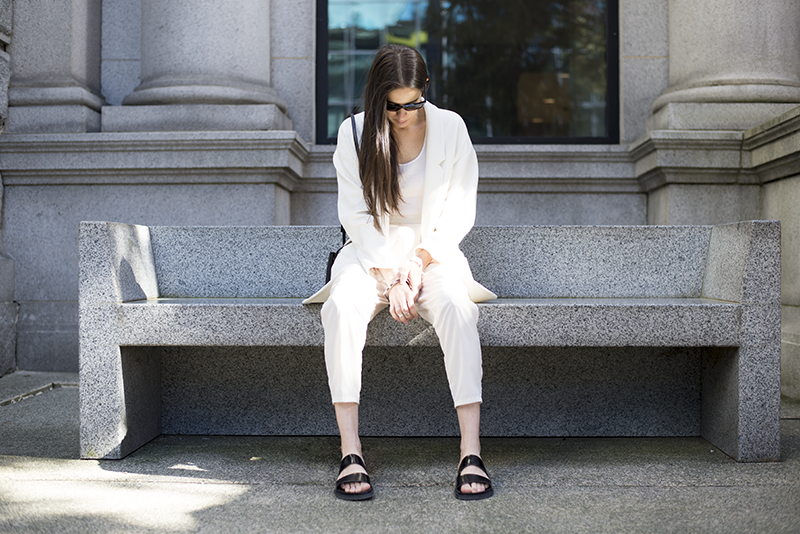 This week's outfit is taking my obsession with monochromatic simplicity to the next level, and never have I been so excited about white. I am also totally loving the come back that sneakers and slip-ons have been making. I am sure you all know by now, but I will always choose sneakers and flats over heels (blasphemy?!). As for my Celine Trio bag, I am still as happy with it now as I was when I first purchased it. If you are not sure whether: "to buy or not to buy" let me tell you, save up the money and get it. It is worth it! gorgeous, love the cream colored outfit. love the trousers, the blazer, just everything - beautifully styled. head to toe off white looks so good! its a new twist! i love it. This outfit is ON POINT! I always choose flats over heels, heels make me hate the world. Those sandals are lovely and adore the DIY cropped top! I want this pants! So comfy! This white blazer is a dream and white looks so good on you! Goodness! I love your outfit so darn much! Oh I love the trio on the black - it's gorgeous! So classic and chic - especially with your all-white outfit! 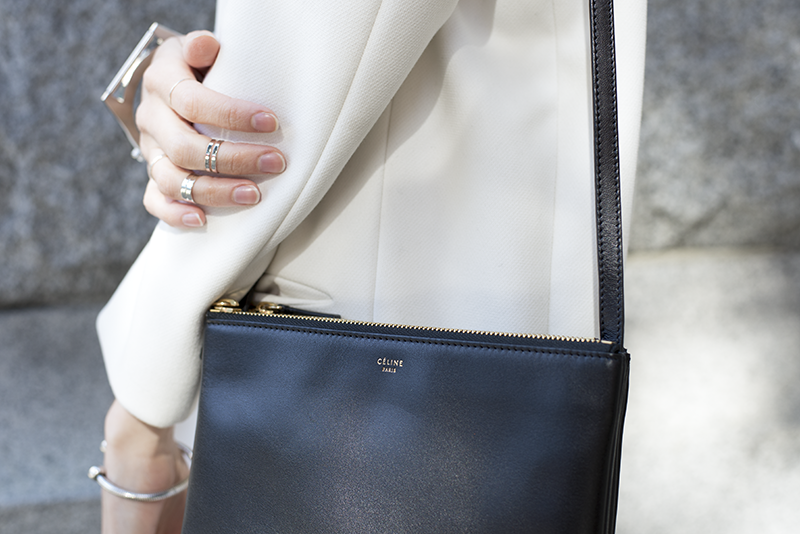 Ok, you've convinced me on the Celine Trio. I have been wondering if I should or not. I was on the sidelines because 'everyone' has one but then again, they don't really do they. Anyhoo I'm rambling again hahaha. I am also a firm believer that one can never own enough black OR white. Especially in tank form, you know. Perfect vest, love this stylish, simple but perfect. 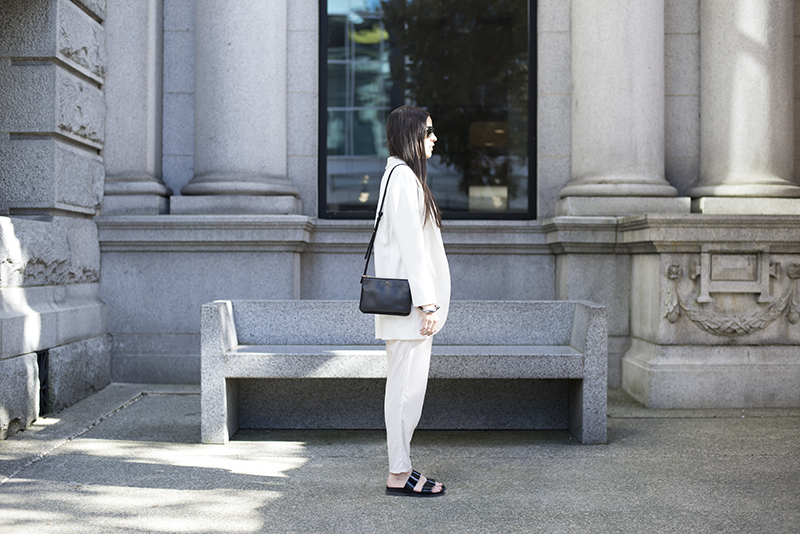 Here's an excellent juxtaposition of soft white, soft shapes with structure (Celine bag, sandals)! Off-white used to be a weakness of mine. In fact, I would frequently get asked if I ever wear wore anything else! (Those askers didn't know that I had the same penchant for wearing all black, come wintertime. Of course, I ignore seasonal "rules" now..) Loving your style, Melissa, as always! 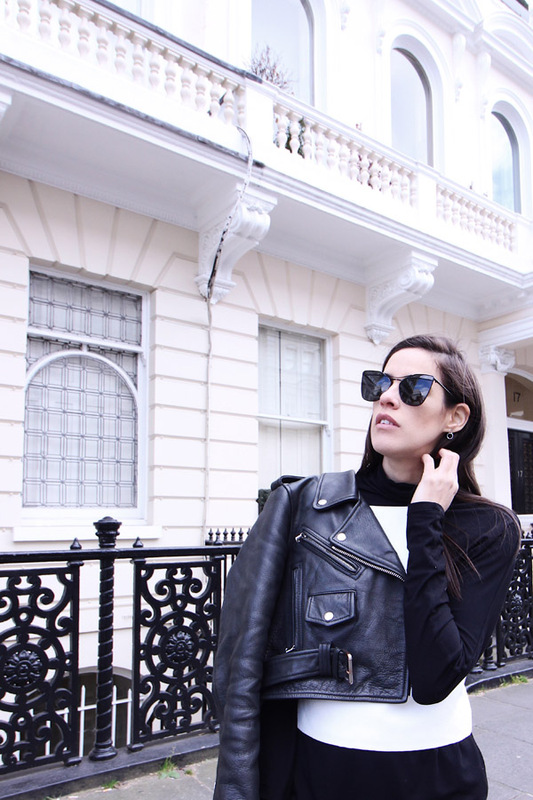 MAJOR STYLE CRUSH!!!! And yes, that had to be in all caps.